Synchro PRO 4D model of airport construction project. Image courtesy of Bentley Systems. Bentley Systems has announced the acquisition of Synchro Software, a firm specialising in 4D construction modelling software for scheduling and project management. According to a statement, the company’s software, Synchro – “construction’s time machine” – has been globally adopted for building and civil infrastructure projects, and broadens Bentley’s existing ProjectWise construction application, which includes 4D construction software for industrial plants ConstructSim. 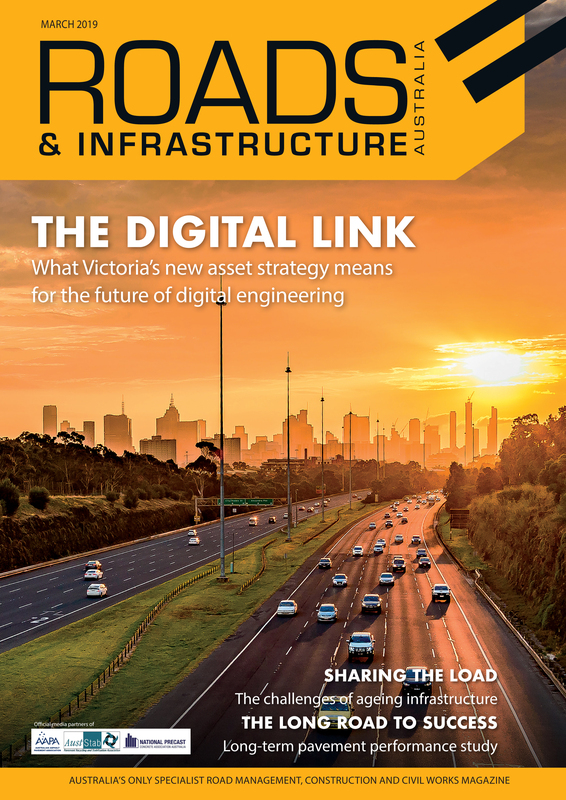 The statement said construction management in 4D means building information modelling (BIM) can extend throughout infrastructure project delivery and asset lifecycles, turning traditionally disconnected workflows into digital workflows. For London’s Crossrail, Synchro digital construction applied Bentley Systems’ iModel work packaging to complete the reach of its BIM application portfolio and its common data environment (CDE). Malcolm Taylor, Head of Technical Information, Crossrail, said using specialist software from Bentley Systems and Synchro, meant the project schedule could be linked to the 3D information to produce 4D models that could show the progress of design and installation at any particular point in time. 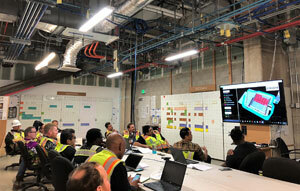 “Using 4D models to plan helped speed up the project teams’ understanding of what we needed to do and when,” he said. 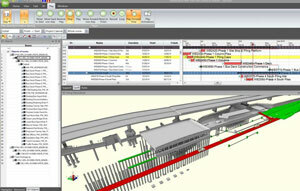 Synchro 4D construction modeling of Crossrail Station. Image courtesy of Bentley Systems. “In construction modelling for industrial projects, the market is already converging around ConstructSim’s advanced work packaging and workface planning,” he said. Tom Dengenis, CEO of Synchro Software, said the combination reflects his conviction about what’s imperative for finally driving infrastructure construction substantially forward. “At Synchro, we accomplished the breakthrough of 4D construction modelling software many years ago, but we have wanted to advance the market faster than our own continuous growth,” he said.